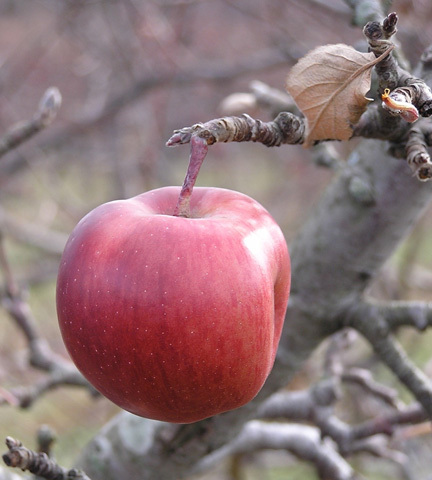 A lone winter apple, a treat for gleaning birds. Last month we posted a couple of new articles. Roll Magazine published “Moors and Christians: Comfort Food for an Uncomfortable Season,” on serving the musical fruit, indoors. “Remembrance of Shellfish Past,” a travel reminiscence of sorts, appeared in Modern Salt. We also completed the index and final edits to our latest book (Can It! The Perils and Pleasures of Preserving Foods), due for publication in May. WHEW! PS: If you encounter broken links, changed URLs—or know of wonderful sites we’ve missed—please drop us a line. It helps to keep this resource as useful as possible for all of us. To those of you who have introduced us to sites like the ones in this newsletter (such as Krishnendu Ray), thanks, and keep them coming! It’s easy. Whenever you want to shop on Amazon (think last-minute holiday shopping), click on any of the book links below, then whatever you buy there will earn a commission for this newsletter (it doesn’t even have to be one of our books). “The Resource Guide for Food Writers, Update #183” is protected by copyright, and is provided at no cost, for your personal use only. It may not be copied or retransmitted unless this notice remains affixed. Any other form of republication—unless with the author‘s prior written permission—is strictly prohibited.